Leslie. AP. Colored Lithograph. 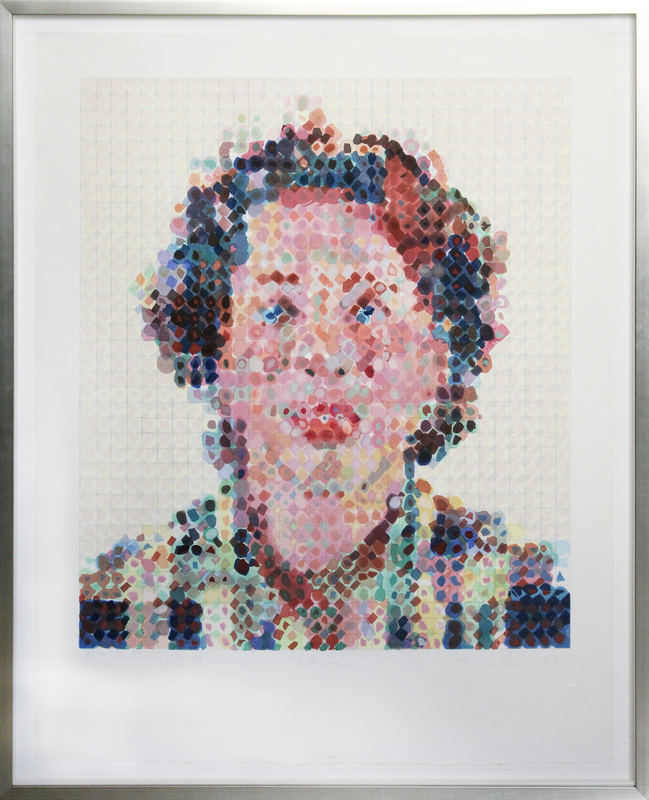 34.5" x 28"
​Chuck Close reinvented painting with his monumental portraits, rendered with exquisite, exacting realism from photographic sources. Playing with ideas of scale, color, and form, Close has become famous for his rigorous, gridded application of individual color squares, which, although abstract up close, form unified, highly realistic images from afar. “I think most paintings are a record of the decisions that the artist made,” he said. “I just perhaps make them a little clearer than some people have.” Close’s artificially restrictive painting techniques stem in part from physical limitations—he suffers from an inability to recognize faces, and had a spinal injury in 1988 that left him largely paralyzed. Close is particularly known for his portraits of artists, having depicted Robert Rauschenberg, Cindy Sherman, and Richard Serra, among countless others. His work links him not only with Photorealists like Richard Estes and Audrey Flack, but also to Conceptual Art.